Do you ever experience symptoms after eating such as bloating, acid reflux, or headaches? 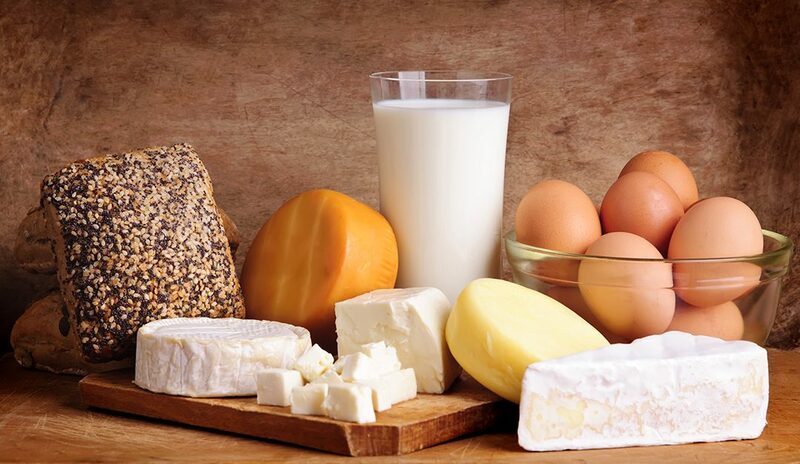 Your body might be trying to alert you to a food intolerance. Most people are aware of their food allergies because the reaction is so severe, but sensitivities often go overlooked; the resulting reaction blamed on a myriad of potential causes. “Over time if you continue to eat foods to which your body is intolerant, your autoimmune system will be triggered.” When that happens, your body will launch its defense mechanisms to combat the enemy invaders (the food you’ve ingested). 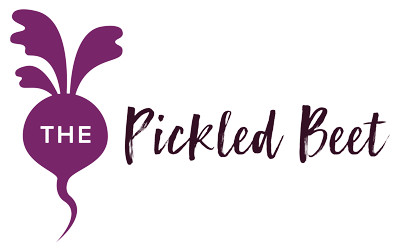 At The Pickled Beet, we cook for a number of clients who have food allergies and sensitivities. We encourage food sensitivity testing to learn your particular issues so we can custom-craft meals to meet your individual needs. 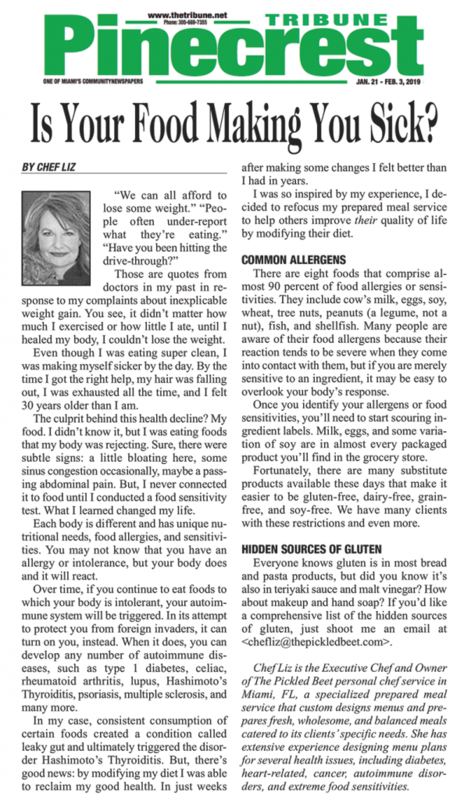 To learn more, check out this article published in Miami’s Community Newspapers’ Pinecrest Tribune where I examine how unrecognized food sensitivities can impact your health. To read the article in Pinecrest Tribune, click on the reader below to open and you’ll find the article on page 26. If you would like more information on how The Pickled Beet can help you manage your overall health through food, contact us.